Tired and overworked Santa Claus showed up for therapy today. With help of First Choice team, he will be on his feet by Christmas! 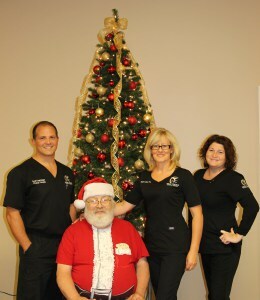 Merry Christmas and Happy New Year to all our patients, friends, and their families from First Choice Beach Team.